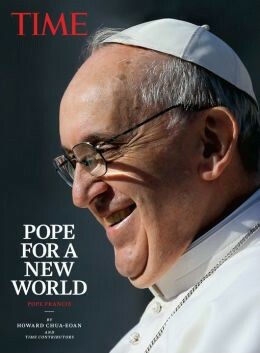 NEW WORLD ORDER.THE DEVIL IN THE VATICAN!! pt2 The Impostor Pope. Webmaster's Note: A "doppelganger" is someone that looks the exactly same as another person. yet not a twin. ghost identical to living person: an apparition in the form of a double of a living person. VATICAN CITY (RNS) Pope Francis said Wednesday (June 24) that there are times when it is “morally necessary” for couples to separate, as part of the pontiff’s broader reflection on how to protect children from quarreling parents. Speaking to crowds in St. Peter’s Square, Francis said that in some cases “separation is inevitable” and “can even become morally necessary” at times. "Is it a co-incidence that Jewish Cardinal Bea's first name is Augustine? Brother Branham explained, "The Holy Ghost come to him. But he refused to accept it. Saint Augustine of Hippo, he was the one who passed the verdict that it was all right to kill heretics who disagreed with the Roman church, sanctioning them pagan doctrine, of getting away from the Bible, and establishing a sun god worship. According to Schmucker's "The Glorious Reformation," the Catholic church, it throwed the doors wide open for them to kill anything they wanted to then, that denied that pagan church. And from the time of Saint Augustine, about three hundred years after Christ until 1850, the great massacre of Ireland, there was sixty-eight million Protestants killed by the Catholic church" (Christianity versus Idolatry, p. 166-173; An Exposition of the Seven Church Ages, p. 195:2; Chambers Encyclopedia, 1894, Vol. I p. 405 "Augustine")." "Cardinal Jorge Bergoglio's decision to choose the name of Francis as pope has profound significance to Muslims regarding Muslim/Christian relations. The Christian Saint Francis of Assisi-for whom he has chosen to be named for the rest of his life-is remembered by Muslims who know their history as a holy man, perhaps the only one (since Jesus) so recognized by Christians and Muslims alike." "Raised in privilege and renouncing that privilege for the sake of justice, fidelity to God's revelations and God and God's creation—to the harsh criticism of friend and family alike—St. Francis' early life path is achingly close to that of Muhammad. And the events of his later life, particularly his three-week dialogue with Sheikh al-Malik al-Kamel the Sultan of Egypt, had a profound effect on Francis, the Sultan and the Christians and Muslims living then that are still being felt today." Latin is the language of Satan and it is the Vatican that uses that DEAD language to deceive people. Most people don't know Latin. They should not WORSHIP what they do NOT understand. The people say AMEN to words that they don't even understand. Amen means to agree. Satan has fooled so many people into believing his lies. Satan is the "light bearer" that the Pope is worshiping in front of deceived Catholics, but why won't he deceive people? After all, Pope Francis the False Prophet. Nobody should ever agree to anything that they don't understand. Latin is the language of Satan. If the Vatican was really serving Jesus Christ, they would use a language that the people understand. Here is a scene from "Eyes Wide Shut". What is being said here? What language is being used? How is this ceremony different from Catholics listening to some priest / Pope speaking in Latin? The very name "Vati-Can" is translated from the Latin as "Divining Serpent". The Biblical False Prophet Has Arrived Cardinal Bergoglio – "Pope Francis"
BLASPHEMY!!!!!!!!!!MASONRY!!! pope francis DENIES the Trinity!!!!! Vatican City, June 13. 2014 — Underscoring the close ties between Christianity and Judaism and calling Holocaust denial "madness," Pope Francis told an interviewer that "inside every Christian is a Jew" . . . "I believe that interreligious dialogue must investigate the Jewish roots of Christianity and the Christian flowering of Judaism," Francis said. "I understand it is a challenge, a hot potato, but it is possible to live as brothers." Francis' statement seems to go further than his predecessor, St. John Paul II, who made headlines in 1986 as the first pope to visit Rome's main synagogue and declared Jews to be the "elder brothers" of the Christian faith . . . "Every day, I pray with the Psalms of David. My prayer is Jewish, then I have the Eucharist, which is Christian" . . .
Webmaster's note: In the video below, by supporting redistribution of wealth, the Pope is saying "thou shalt steal", he is speaking contrary to the King James Bible. Pope Francis, the False Prophet, Demands Redistribution of Wealth. Notice in the video that Pope Francis is calling for governments to redistribute wealth. The USA govt has NO wealth all by itself. It has to STEAL the American People's wealth through deception and force. Good government is from God. Evil government is from Satan. The USA government is of Satan. Police dressing in COMBAT gear and driving COMBAT vehicles in America is proof that the USA govt is evil. The Border Patrol treating all Americans like terrorists within a 100 mile zone from every USA border is proof that the USA government is evil. NSA spying on everything that we do is proof that the USA government is evil. The Vatican is the 1st beast of Revelation 13, and it does not get any more evil than that. The USA govt is the 2nd beast of Revelation 13 and it does not get anymore evil than that. Pope Francis is calling for the THEFT of people's wealth while it possesses incredible wealth. Jesus never called for the theft of anyone's property. Jesus lived a humble life while the Popes live like kings. "Vatican City (AFP) - Pope Francis on Monday declared that everyone has the right to be baptised, even aliens should they come knocking on the church's door. Christians cannot "close the door" to all those who seek baptism even if they are "green men, with a long nose and big ears, like children draw," the pope said at his daily mass, according to Vatican Radio." There is a reason the Vatican is announcing Martians and Aliens in the media these days. Satan wants to lead as many people as possible to their eternal destruction in hell. With so many diverse races, cultures, and religions, how will Satan be able to unite them all and appeal to as many people as possible? He will do something huge, something never seen before, something so unique, something so groundbreaking that people’s deeply engrained dogma's and paradigms will be forced to come crashing down. See also: Aliens? UFO's? Seriously? What? How will THE antichrist arrive? It is highly likely that the DEAD Pope John Paul II will be returning from HELL to be THE antichrist in a "UFO" or what the Vatican calls the "extraterrestrial savior." It will be a computer generated demonic holographic image, like a magic illusion designed to deceive many. In the video below, the False Prophet is telling people not to leave the church. Its certainly is not a building nor is it an organized body of people who are led by a FALSE preacher/priest. ALL the mainstream Christian churches have been taken over by Satan. Every single one of them. The "church" referred to in the King James Bible is the body of Christ. True followers of Jesus Christ who do not practice "religion." We have a personal relationship with Jesus Christ, live, move and have our being in Him, we worship Him in spirit and truth and we are lead by the Holy Spirit. Note: Ask yourself "why does the Vatican and why do the Jesuits want to 'see through darkness to most observable objects? "Former pope Benedict XVI spread consternation in the catholic world this morning as he claimed in a press conference rebroadcasted live on FM german catholic radio station, Radio Horeb, that a group of jesuits had infiltrated the Vatican and were pursuing what he called an “alien agenda”. The first pope to retire from his position in 598 years expressed his feelings of deception as “a sinister group of members of the Vatican” were pushing on for the search for extra-terrestrial life through their Lucifer 2 Large Binocular Telescope based at Vatican Observatory on Mt. Graham in Tucson, USA." Does the Pope Wear Prada? The pontiff is bringing two close friends from his days as Buenos Aires’ archbishop—Rabbi Abraham Skorka and Omar Abboud, a leader of Argentina's Islamic community—along with him during a trip to Jordan, the West Bank, and Israel. This marks the first time a Pope has included members of other faiths in an official delegation. The International Common Law Court's case against Pope Francis and others revealed today the identity of members of the Ninth Circle child sacrificial cult, as well as the location and dates of their murderous rituals. In response, a call for Special Deputies to stop the Ninth Circle and arrest its members has been issued by the Prosecutor's Office of the Court. Everything is numerically encoded and poetic. Satan is known as "the Serpent". According to scripture, every Believer is a saint. One cannot be born-again without becoming a saint. It is spiritualism to pray to the dead, for "the dead know nothing, neither have they any more a reward; for the memory of them is forgotten. Also their love, and their hatred, and their envy, is now perished; neither have they any more a portion for ever in anything that is done under the sun" (Ecclesiastes 9:5-6). Saint Paul said, "Salute Rufus . . . and all the saints which are with them" (Romans 13:13-15). "Now I go to Jerusalem to minister to the saints" (Romans 15:25). "Ananias answered, Lord, I have heard by many of this man [Paul], how much evil he has done to your saints at Jerusalem" (Acts 9:13). "Paul, an apostle of Jesus Christ by the will of God, to the saints which are at Ephesus" (Ephesians 1:1). "All the saints in Christ Jesus which are at Philippi" (Philippians 1:1). Now every one of these saints was very much alive. April 19, 2014 the Last Prisoner of the Vatican – an Encounter with Pope John XXIII. Pope Francis (Satan's False Prophet) is about to become involved in the USA - Mexico border. The False Prophet is conspiring with the 2nd beast of Revelation 13 (better known as the USA govt) against the American People. The excuse he is giving is the CIA operation of smuggling "unaccompanied" young children across the USA-Mex border. Who should be shocked that Satan's top man in the Vatican is conspiring with Satan's top world military power? They are all working together against the world. "Pope Francis is seriously considering visiting the U.S.-Mexico border, which in the last months has become a corridor for thousands of unaccompanied children coming all the way from Honduras, El Salvador, Guatemala, and also Mexico." Pope Francis is going to hell and he wants you to join him. That is Jesus' personal invitation to every person to accept Him as Lord and He will have a personal relationship with them. Pope Francis, the False Prophet, said the exact opposite. How can a Pope claim to be "god" on Earth and then say things and do things that are opposed to the King James Bible? The Pope is a LIAR. He serves Satan. "You know that [to] go to Mexico without going to visit the Madonna [of Guadalupe] would be a drama. A war could break out," he said, laughing. POPE Francis Warns ANY "Personal Relationship w/ Jesus is Dangerous"
One of the marks of false religion and false churches is that they make God impersonal. Some make God to be a wrathful, ugly and selfish being, ready at a moment to smash you like a bug if you do wrong. They make God unapproachable, they take away His mercy, compassion and love. They have no concept of the God of Grace and Mercy. Their false god is one that they must by doing some ritual or moral act appease to keep from being destroyed. The God of the King James Bible, is a righteous and just God, and His wrath will fall on all who reject His mercy, but He actively seeks to save men from their sin. He sacrificed Himself for our sins that we might become holy and pure even as He is pure. It does not matter if you know His name, and know everything about the King James Bible, go around telling everyone you know about Him, or acting like you talk to Him. This does not establish a relationship with Jesus until you admit your sin and honestly repent begging God to forgive you. You must accept the sacrifice that God made for you. You cannot offer anything to God to atone for your sin. It is rebellion and false pride to think that you can be good enough or offer any act or work to save you. To do so is sin. You have no regard or appreciation for the Lord's suffering. To reject His sacrifice is worse than spitting in His face. The Relationship Begins with the New Birth. The new birth is the beginning of the relationship with God. It makes all things new. We receive the new nature of God, the indwelling of the Holy Spirit. Eph 2:19 says "Now therefore ye are no more strangers and foreigners, but fellowcitizens with the saints, and of the household of God;"
Eph 3:15 explains, "Of whom the whole family in heaven and earth is named,"
God tells us in Rom. 9:26, "And it shall come to pass, that in the place where it was said unto them, Ye are not my people; there shall they be called the children of the living God." I am so Blessed! What Jesus asked the Father for in John 17:21, "that we may all be one in Him", is finally coming to pass. Pope Francis is a man filled with the love of Jesus. All eight of us in our meeting together with him were moved by the strong presence of the Holy Spirit, and our love for one another was strengthened beyond measure. Like I said, I am so BLESSED! What a time to be a believer! – Kenneth Copeland. Scripture is certainly coming to pass, but not the passage quoted by Kenneth Copeland busily gathering the apostate once Protestant daughter churches back to the Great Whore. 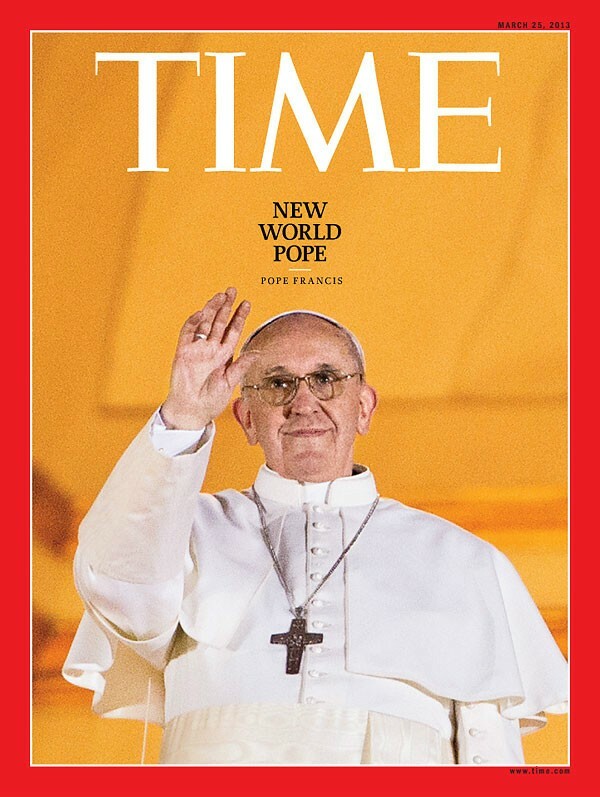 June 15, 2014 — Pope Francis has launched a sweeping attack on the world's economic system, saying it discards the young, puts money ahead of people and survives on the profits of war. The 77-year-old leader of the world's 1.2 billion Roman Catholics said some countries had a youth unemployment rate of more than 50 per cent, with many millions in Europe seeking work in vain. "It's madness," the Pope said in an interview with the Barcelona-based Vanguardia daily's Vatican correspondent Henrique Cymerman. "We discard a whole generation to maintain an economic system that no longer endures, a system that to survive has to make war, as the big empires have always done," he said. "But since we cannot wage the third world war, we make regional wars. And what does that mean? That we make and sell arms. And with that the balance sheets of the idolatrous economies—the big world economies that sacrifice man at the feet of the idol of money—are obviously cleaned up." Pope Francis says there is enough food to feed all the world's hungry. "When you see photographs of malnourished children you put your head in your hands, you cannot understand it," he said. "I think we are in a global economic system that is not good." The Pope says the people's needs should be at the heart of the economic system. "But we have placed money in the centre, the god of money. We have fallen into the sin of idolatry, the idolatry of money. The economy moves by the desire to have more and paradoxically it feeds a disposable culture," he said. The pontiff said the young were discarded when "the birth rate is limited" and the old were discarded when they no longer were considered productive. "By discarding children and the old, we discard the future of a people because the young will pull us strongly forward and the old will give us wisdom," he said. Francis is laying propaganda for the ushering in of the New World Order: one world religion, one world government, one world economy and preparing the way for the arrival of the Antichrist - Pope John Paul II. Webmaster's Note: The article below is confirmation of the Pope's affiliations to the Mafia. The Pope controls the Mafia. Anti-mafia investigators in the southern Italian region of Calabria have opened an inquiry into a church procession in a small town that apparently made a detour in order to pay tribute to a convicted boss from the 'Ndrangheta crime syndicate. In what was condemned as a "deplorable and disgusting" incident by Angelino Alfano, the interior minister; a parade of clerics, the mayor and other residents in the town of Oppido Mamertina last Wednesday were reportedly diverted to the home of Peppe Mazzagatti, who is under house arrest. Bosses of the 'Ndrangheta, the global crime syndicate with roots in the Calabrian "toe" of Italy, have historically stressed their religiosity, decorating their hideout bunkers with Catholic trinkets and even held annual meetings under the cover of a Christian sanctuary in the Aspromonte mountains. Pope Francis issues a strong condemnation of child abuse within the Roman Catholic Church and begs forgiveness from those violated by church leaders. He compares abuse within the church to a 'sacrilegious cult' and says those responsible 'sacrificed [the children] to the idol of their own concupiscence'. It is his strongest condemnation yet of the way in which the church handled its abuse crisis. September 10, 2014 Pope blames Bible Christians for Terrorism!